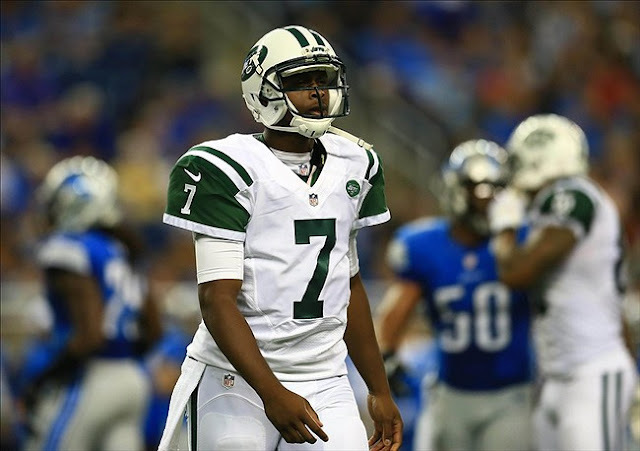 Geno Smith will start Week 1 against the Tampa Bay Buccaneers, and while that sounds like an exciting alternative to Mark Sanchez and the mediocre results of the past few seasons, it's also something that should scare Jets fans immensely. Because many fans see this Jets team as weak on both sides of the ball, they say that they might as well go ahead and let Smith play to see what he can do, and hope he develops even quicker because of the immediate playing time. This couldn't be any further from true, and what they're doing may wind up hurting Geno for the rest of his career. We've seen it time and time again in the NFL, where young quarterbacks are thrown to the wolves too early on, and they're just not able to get their confidence back. This is a killer for development, and the Jets need to proceed with caution. Let me take you back to 2002. David Carr was coming off of a senior season at Fresno State where he lead his team to a 9-5 record and totaled 4299 passing yards along with 42 touchdowns. This had gained him a considerable amount of hype, and had draft reports saying that "he could make every throw in the book" and that "Not only can he thread the needle with his throws, but he also knows how to put the proper touch on his passes when needed. He is very competitive and a natural leader who makes the players around him better." Of course, there were downsides, "Because he has such a strong arm, Carr will try and force passes into tight coverage." 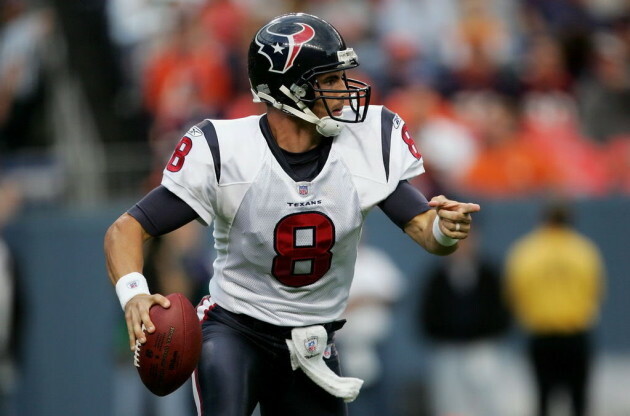 But the Houstan Texans overlooked these flaws and took him with their first ever draft pick. We all know how this panned out, as Carr became a human tackling dummy behind the porous offensive line of the Texans, and because he had no credible options at running back, tight end, or wide receiver. He got sacked an NFL-record 76 times his rookie year, and this really just destroyed him for the rest of his career. His weakness going into the draft (forcing throws) was heightened because he knew that he had to try and make something happen before he got leveled. He was also forced to throw a lot because, at that time, the Texans defense was weak and they were often playing catch-up. How does Geno Smith relate to David Carr, though? Well, he's in a strikingly similar position. Much like Carr, Smith is a player who should be sitting on the bench in his first year or two just to work the kinks out of his game and get adjusted to the pace of the NFL. 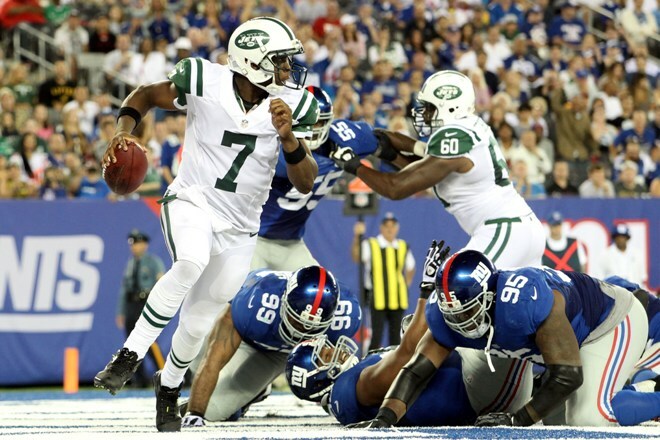 The Jets offense, to put it nicely, is going to be anemic. They were the 5th-lowest scoring team in the league last year, and they'll more than likely drop into the bottom 3 this season. The offensive line is pretty solid as far as run blocking goes, but it has quite a few question marks when in pass protection. The options for Smith to throw to are are really not all that appealing, either, as an injured Santonio Holmes headlines an underwhelming group of receivers. Chris Ivory should be a nice addition in the backfield, but there's no doubt about it, the Jets are going to have to be going to the air early and often. The Andrew Luck's and Robert Griffin's of the world are few and far between, and I feel like the Jets are expecting way too much out of him, way too soon. He's going to take a lot of hits, and you just have to hope that this won't hurt him like it hurt David Carr. This is the man that represents the future for the New York Jets, and you have to wonder if Rex Ryan is risking Smith's future because he knows it's the only chance to save his own.